Petroglyphs large and small a common in Panama, but the largest and most interesting is the one found in the town of Caldera, in the Boquete district of the Chiriqui province. 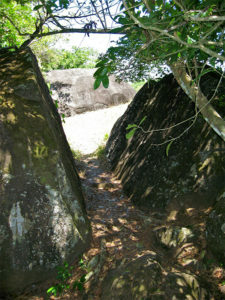 The sides and flat top of this huge boulder are covered with incised figures. The petroglyphs are from a half to one inch deep except on the weather side, where they are nearly effaced, proof of their great antiquity. Investigations are mostly in agreement that the top and other sides have signs of a circular and oval form crossed by lines, but no direct link with other petroglyphs in the area, or further explanation of a possible symbolism. 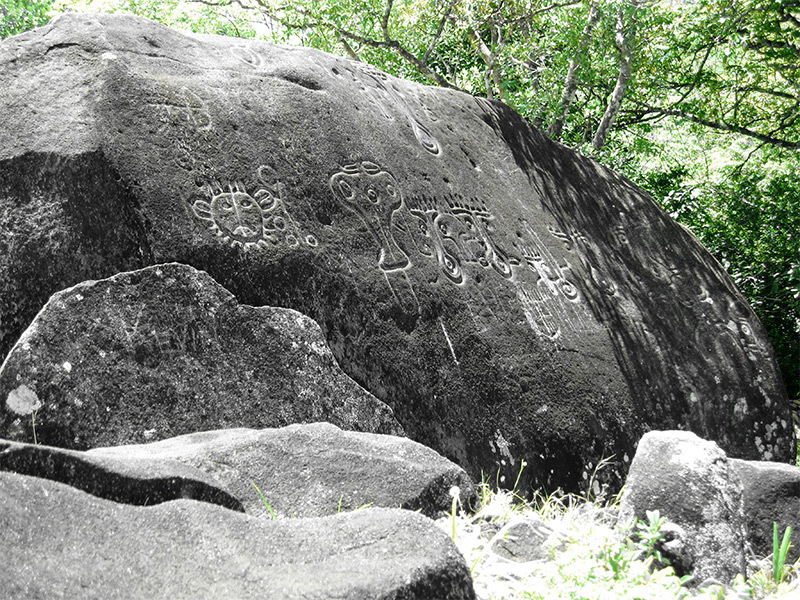 Investigations underline the similarity between Puerto Rican petroglyphs and those of Chiriqui. The chief motif of the southwest side of the Piedra Pintada seems to represent a front view of human or other face. 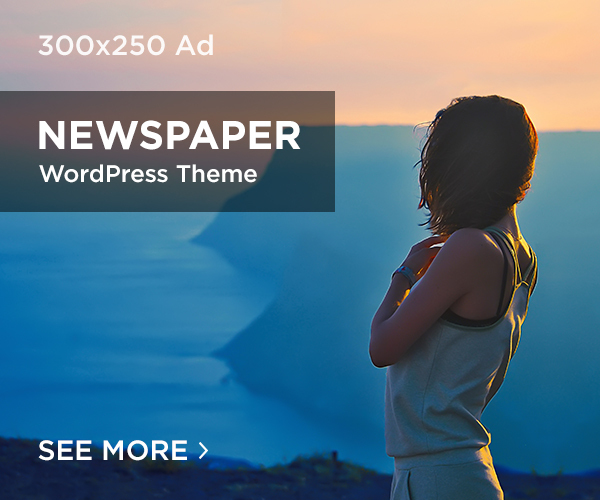 It is repeated with variations six or eight times. 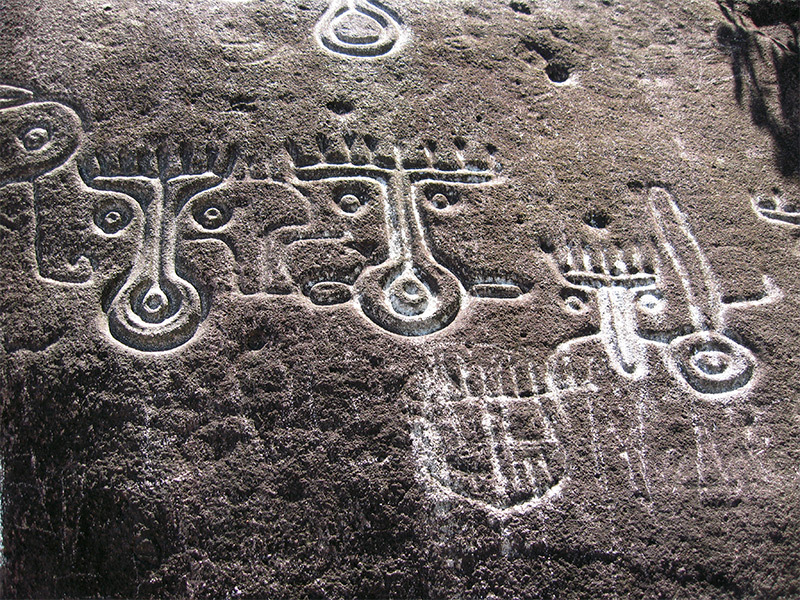 A motive not unlike this characterizes Puerto Rican petroglyphs, and is also found in Venezuela and Colombia. 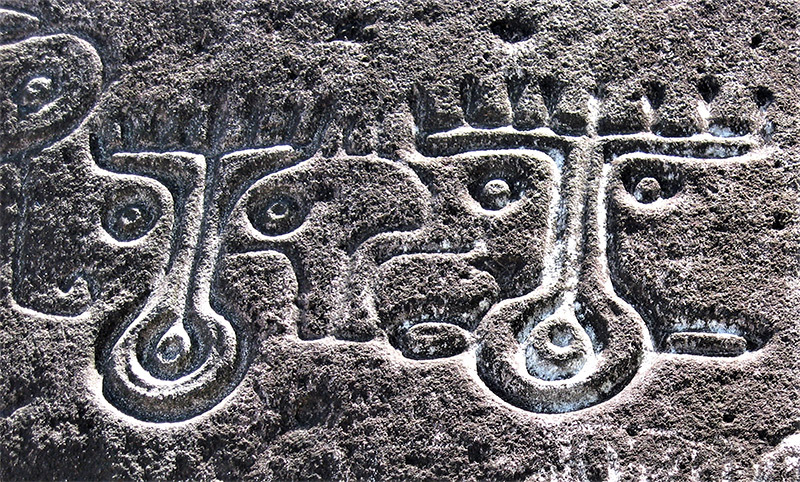 Other Chiriquian petroglyphs have been noted by J. F. Bateman in a letter to the American Ethnological Society (1861). None of the petroglyphs seem to bear any relation to the many decorative motives used on the potteries found in the graves of the Veraguas area. This fact suggests the probability of their belonging to a different age and civilization. Ceramics from the Bariles area were dated to 300BC. At the beginning of the 20th century, ancient sculptures columns were used for building purposes in the town of David. The characters on these however, were raised instead of incised and were considerably smaller than those of the Piedra Pintada. Even though it is not possible to date a petroglyph, it may be dated by style with ceramic data or other medium from the immediate and adjacent areas. In this case we could get a close date of the last eruption of the 13000 ft. Barù volcano, about 8Km away, part of the Cordillera de Talamanca. The volcano is active and part of the Central American Volcanic Arc. Its last major eruption, according to a 2007 USGS survey, occurred in the 16th century. The debris avalanche deposits covered a volume of 20->30Km3, reaching as far as the Pacific Ocean; that is nearly 10 times the area covered by Mt. St. Helen debris avalanche in 1980. The Caldera boulders weigh several tons, and come from that last titanic eruption; the Piedra Pintada specifically, and its neighbor that split in half on impact. Investigators suggest that the petroglyphs are the work of the Dorachos Indians, but no archaeological or ethnological evidence have produced a clear determination as to their origin. Meanwhile, in Boquete one can hear the volcano still rumbling.